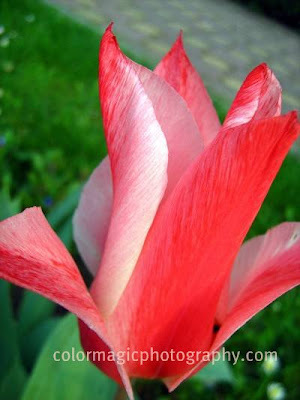 These hot colored, dark pink and red tulip photos bring some warmth in our souls on long winter days. 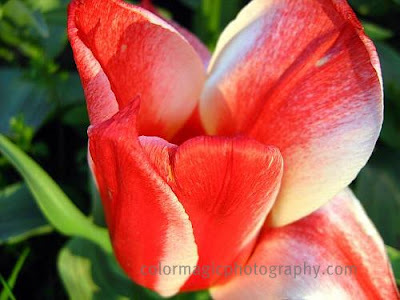 Tulips are one of my favorite flower, in every color. This dark pink and white flamed tulip is a lovely variety. Even more brighter, this red-white one, glowing in the sun, really looks like on fire. See also some lovely deep purple tulips! O wow! A stunning photograph of a beautiful flower! You are making me think I should go out and buy some tulips right away! Lovely flowers! Gorgeous colors in those petals!